There are unusually low numbers of mosquitoes throughout Finland this sweltering summer – and likely fewer than usual next year as well. One of Finland’s hottest summers on record has not been easy on mosquitoes, which have nearly vanished from some areas. Due to the heat, their favoured breeding grounds, shallow ponds, have dried up in areas such as Finnish Lapland – which is usually notorious for mosquito infestations. Jukka Salmela, who researches mosquitoes at the University of Lapland and is also a curator at the Provincial Museum of Lapland, does not expect any major resurgence of the blood-sucking insects in late summer, either. Although there is still standing water in places, the number of larvae is much lower than in the spring and early summer. “Mosquitoes don’t like long periods of hot weather. Then they move around extremely little during the daytime,” says Salmela. “There are quite few mosquitoes throughout Finland,” agrees Reima Leinonen, an environmental specialist at says the Kainuu Centre for Economic Development, Transport and the Environment (ELY Centre) in eastern Finland. One type of mosquitoes doesn’t mind the heat. Salmela explains that most of Finland’s 41 mosquito species reproduce in small bodies of water formed by melting snow and ice. “It appears that at least some Anopheles mosquitoes have survived the heatwave,” says Salmela. Elsewhere, this species is known for transmitting malaria, which does not develop naturally in Finland. “These larvae live in somewhat larger bodies of water. 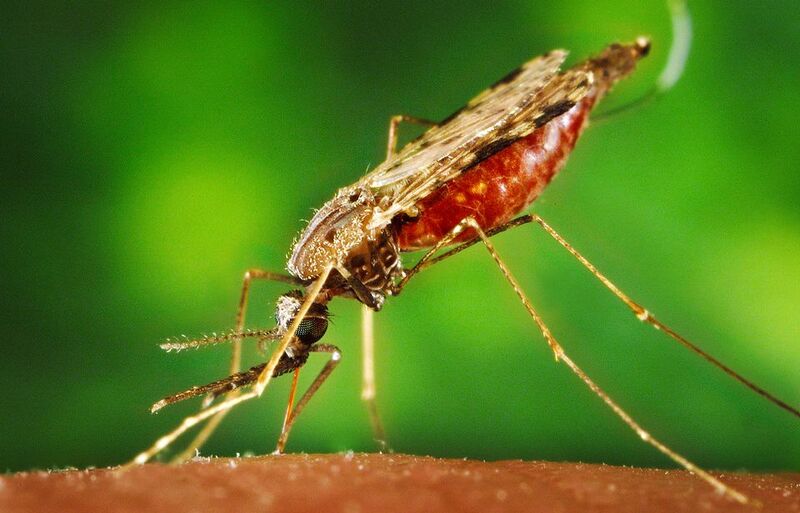 Typically Anopheles mosquitoes do not consume blood before the spring after their birth, as they do not need it to survive the winter,” he says. One reason for scarcity of mosquitoes is that when the hot spell began, billions of mosquitoes hatched at once. Usually the various species of them hatch at different times. “The rapid onset of the heatwave probably accelerated the development of all the species, so most of them began flying at the same time,” says Salmela. In some summers, a second generation of mosquitoes is brought on by rainy weather – which has been rare this season. While there aren’t many mosquitoes, there are other blood-suckers who thrive in the warmth, such as biting midges, blackflies and horseflies (also known as gadflies or clegs). Unlike mosquitoes, horseflies breed in muddy areas around lakes, for instance, so are not affected by the drought as much, says Salmela. He reports a record numbers of these painfully-biting flies in Sodankylä earlier in the summer, adding that “it was almost laughable how many horseflies there were”. He points out that this exceptional summer’s conditions will probably have an impact on the number of mosquitoes flying around in mid-2019. “Most of the eggs for next year’s mosquitoes are laid this year. So we can cautiously predict that next summer won’t be bad either,” Salmela says.